Shown here are a 10 foot booth and 20 foot booth design. Both were produced as well as several others. Luckow built the booth in 3D as a rendering to give the client a realistic way of looking at various designs. 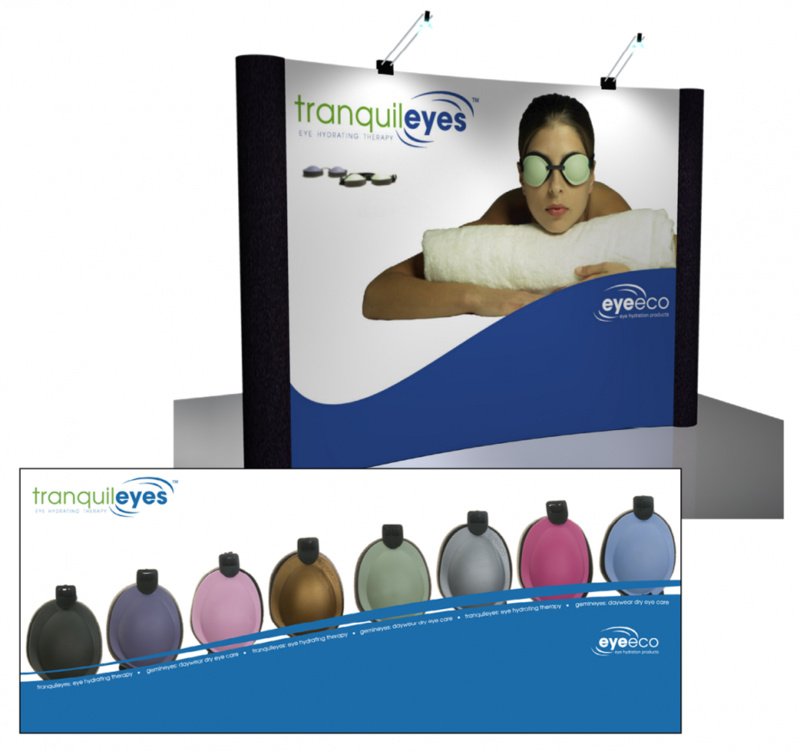 Eye Eco, developed in 2003, is a small company dedicated to developing products that offer effective, natural relief for dry eyes, eye irritation and eye allergies. Each of our products is completely natural, drug free and proven effective. This project is part of a much larger corporate ID by Luckow, detailed in other sections of this online portfolio. See also: Corporate ID, Packaging, Presentations, Tradeshow, UI/UX, Web and Print.